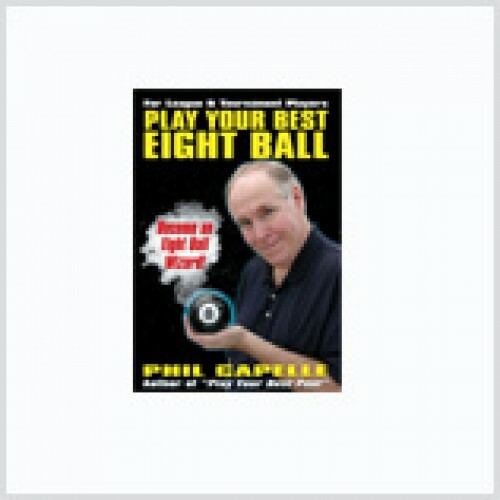 This is the most complete course on Eight Ball ever published. Capelle uses his ABC system to tailor instruction to all levels of play. You will learn how to play Eight Ball position, plan your runouts and avoid the most common offensive mistakes. Big chapters on safety play and strategy will show you how to outsmart your opponents, and how to beat players at all levels of skill. Learn how to break clusters, choose the right group, maximize ball in hand, solve problems, how to practice like a pro, and much more. Illustrated rules and a complete glossary. Over 530 diagrams, all perfectly to scale. Over 100 from professional play. 480 pages.